CINCINNATI — Ohio’s opioid epidemic will be a prime topic for the first meeting of an organization for pain doctors. The Ohio Society of Interventional Pain Physicians expects hundreds of medical professionals to take part in the gathering that will begin Friday in Cincinnati as they focus on pain management topics. Among the speakers are journalist Sam Quinones, whose book “Dreamland: The True Tale of America’s Opiate Epidemic” covers the spread of painkiller “pill mills” in Portsmouth, Ohio. Also speaking will be Dr. Kent Harshbarger, the Montgomery County coroner whose caseload has seen a dramatic increase in opioid overdoses. Ohio has been one of the states hardest-hit by overdose deaths from heroin and other opioids. COLUMBUS — An anti-tax activist wants Ohio state senators to let stand Republican Gov. John Kasich’s veto of a proposal to increase taxes on health insurers that would have sent money to counties and regional bus services. Lawmakers proposed the idea to offset losses from a sales tax on Medicaid-managed care organizations that’s being discontinued by the federal government. 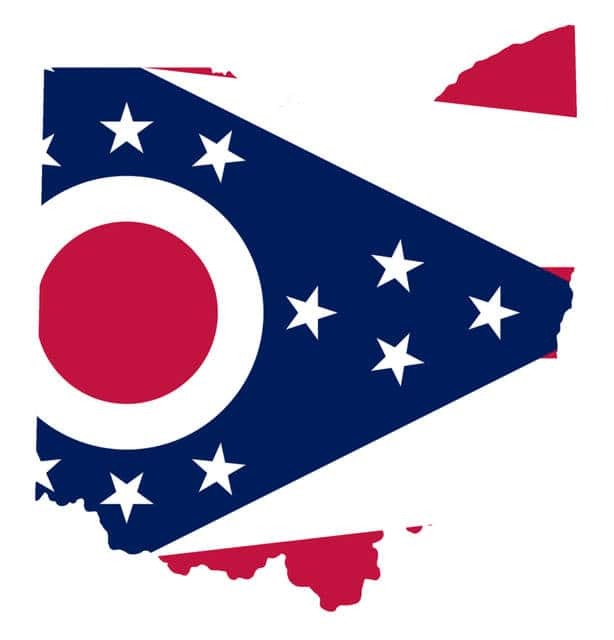 Kasich’s administration contended the $207 million tax increase risked Ohio losing even more money and would create a $615 million loss for Medicaid. Anti-tax activist Grover Norquist is warning senators that his Washington-based Americans for Tax Reform would be “educating” constituents on any vote. He sent a similar letter last month to members of the Ohio House, who voted to override the veto anyway. A Senate session is scheduled Tuesday. DAYTON — Ohio’s traffic accident data shows that 20 people are killed each year in crashes caused by debris on highways. The statistics show debris on the state’s roadways has led to nearly 19,000 crashes between 2012 and 2016. During that time, 102 people have been killed and 569 have been seriously injured in debris-related crashes in Ohio. The Dayton Daily News reports that most often the debris comes from unsecured loads. The newspaper says these crashes represent about 1 percent of all accidents. But a spokesman for the Ohio Department of Transportation says nearly all of these accidents caused by debris are preventable. He says that means making sure all loads are tied down. The state’s department highway says it spends about $4 million a year picking up roadside trash. OXFORD — Police say an intoxicated 21-year-old man impersonated an officer and approached a driver about alleged traffic violations, then was later found to have three handguns and a bulletproof vest in his vehicle. Investigators say Jacob Staton walked up to a motorist who was in a vehicle and identified himself as an officer last week in Oxford. Police say the driver realized that the identification that Staton presented wasn’t for a legitimate officer and called authorities. Staton was jailed on charges of impersonating a peace officer, using weapons while intoxicated and mishandling firearms in a vehicle. Butler County court records listed no attorney for the Oxford man ahead of his initial court appearance Monday. LEBANON — The judge in the case of an 18-year-old charged in the death of her newborn buried at her home is continuing to bar attorneys and others in the case from commenting publicly outside court. The Warren County judge ruled Friday that the gag order he issued earlier in the case against 18-year-old Brooke Skylar Richardson will remain in place. Richardson has pleaded not guilty to charges including aggravated murder in the May death of the infant. The remains were found July 14 in Carlisle. The judge says his order is intended to help ensure a fair trial. LORAIN — Police in Lorain County say a homicide suspect killed himself when authorities came to his home with a search warrant. Lorain police say officers were speaking with a family member of the suspect on Sunday at his Amherst Township home when the 55-year-old man went to his garage and shot himself. His name has not been released. Police say the man was a suspect in the shooting death of a 24-year-old woman on Saturday. They say he was identified by video that showed the moments leading up to the woman’s death. Her name was also withheld. Police do not believe there are any other suspects in the woman’s death. They continue to investigate. PORTSMOUTH — Vermont Sen. Bernie Sanders is heading deep into Trump country with a Tuesday rally planned in southern Ohio. The 2016 Democratic presidential candidate will talk about the economy and health care in Portsmouth, Ohio. Republican Donald Trump defeated Democratic nominee Hillary Clinton by a more than 2-to-1 margin in Scioto County, and he dominated the vote around Appalachian Ohio. Sanders also planned to speak Monday in Indianapolis and then join Democratic U.S. Rep. John Conyers in Detroit for a town hall Tuesday evening. Sanders was in central Ohio in late June to rally against Republican legislation to repeal the Barack Obama administration’s health care overhaul.